Landmark has earned a reputation as a value-driven, dependable and trustworthy builder with an unwavering commitment to deliver what we promise. We build confidence every day by continually meeting and exceeding the goals of our valued customers. 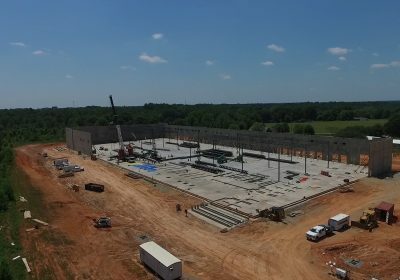 When Paul Stephens founded Landmark Builders in 1975, he was determined to make his company “the preferred builder that consistently delivers what is promised.” His principles of integrity, dependability, and a disciplined work ethic paved the way for Landmark to become one of the most trusted and respected companies in the Southeast. 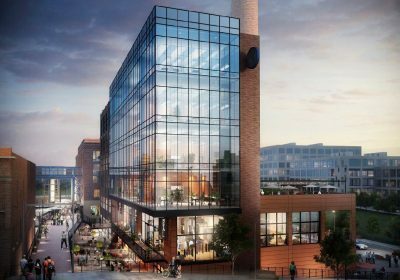 The ownership group of Landmark is comprised of: Steve Stephens, President; Sam Stephens, Executive Vice President; Tom Gibbs, Executive Vice President; Randy Elliott, Vice President of Project Development; and Dave Bohlmann, Vice President of Construction. 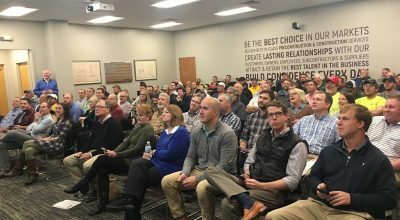 Together, with the support of a dedicated team of employees, they have worked to solidify the Landmark reputation as a well-managed company that continues to meet and exceed the goals of its founder. Behind every Landmark project stands a team of experts - people with the experience and knowledge to bring an architectural vision to life. Above all else, construction is a business of relationships - a truth that has been at the heart of every service we provide for our clients since our founding in 1975. It's a business we know well, and as we continue to challenge the bounds of innovation, we invite you to explore for yourself how we build confidence. 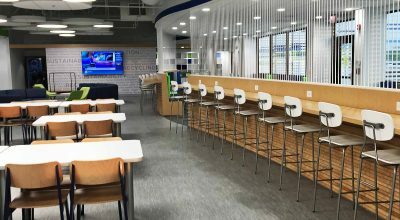 This project is Phase II of Unifi’s Innovation Center and consists of a 5,000 square foot complete overhaul of the break area, cafeteria and patio. 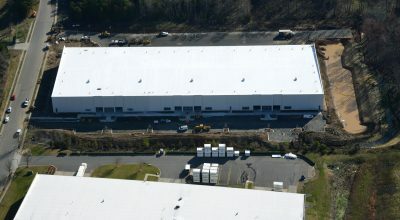 This 115,00 SF warehouse located in Charlotte, NC is almost complete.